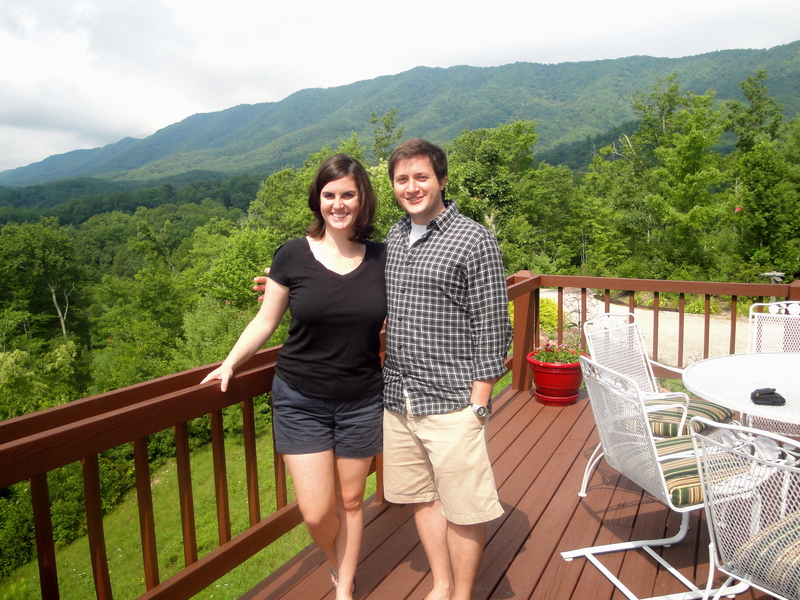 What, you thought I was done recapping our mountain vacation? No way, we did far too much for one week’s worth of posting. 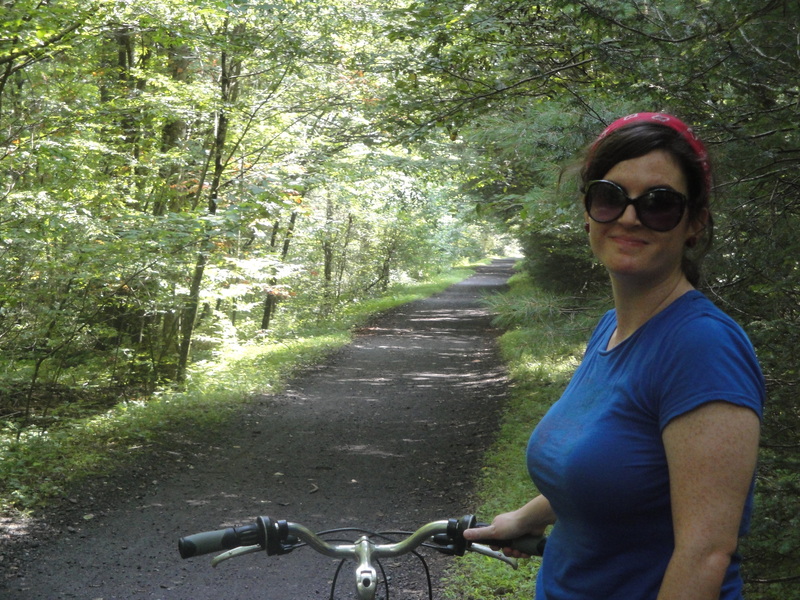 However, I have reached the post chronicling our last adventure: Biking the Virginia Creeper Trail. Vikki suggested this activity as being incredibly fun, so we decided to take her word for it and try something that was (for us) a little different. We drove about an hour to Damascus, Virginia, which is right over the Tennessee/Virginia border. We headed to The Bike Station and they quickly got us fit onto our bikes (if you have to know they put me on the 14-inch framer, which is–aside from their child-sized bikes–the smallest size I have such stumpy legs sigh). We then all piled into a van and The Bike Station people took us on a 45-ish minute ride up to the top of Whitetop Mountain. 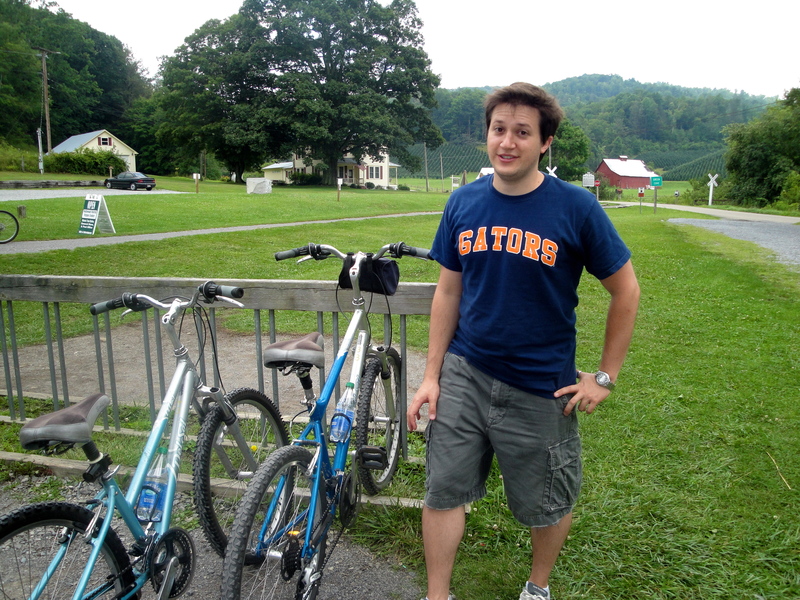 This is one of the starting points of the Virginia Creeper Trail–the end point is 34 miles away in Abingdon, Virginia. 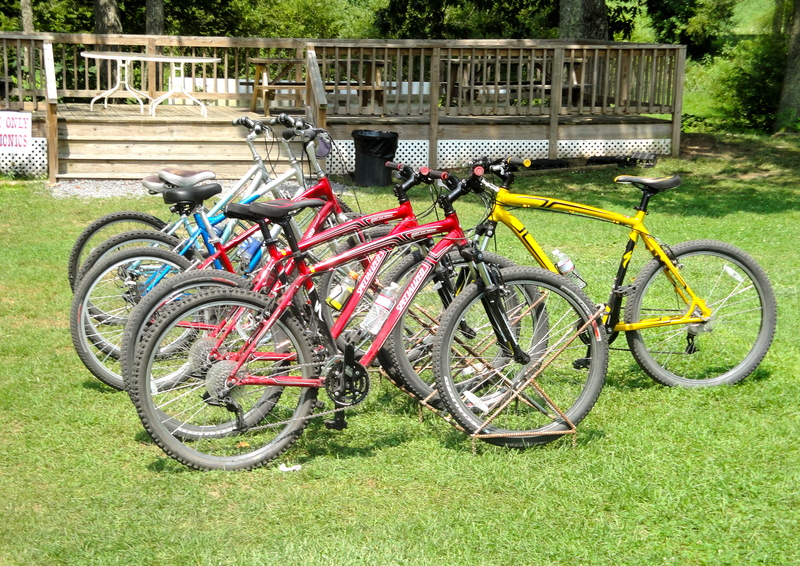 Damascus is right in the middle, a leisurely 17 mile downhill bike ride from the top of Whitetop Mountain. 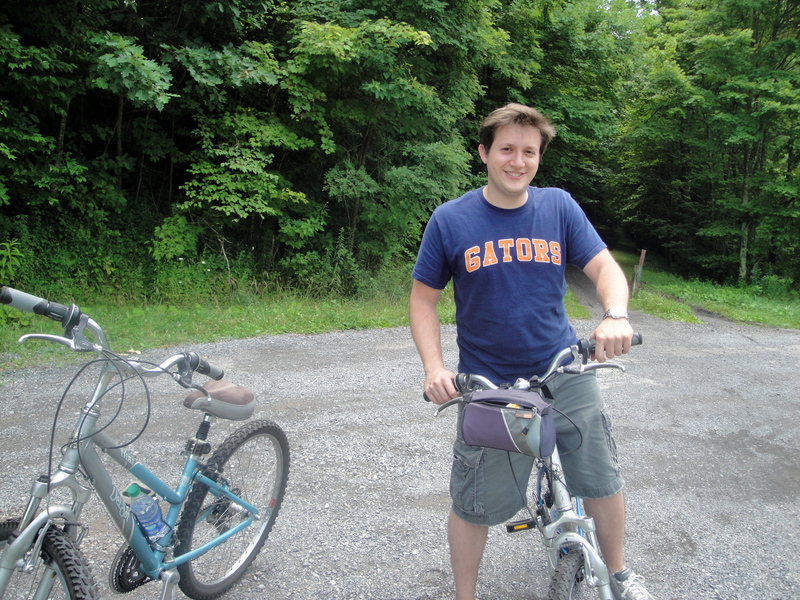 Jon, excited to be on a bike. The Virginia Creeper Trail used to be a railroad that “crept” its way through the woods and mountains and valleys between Whitetop and Abingdon. 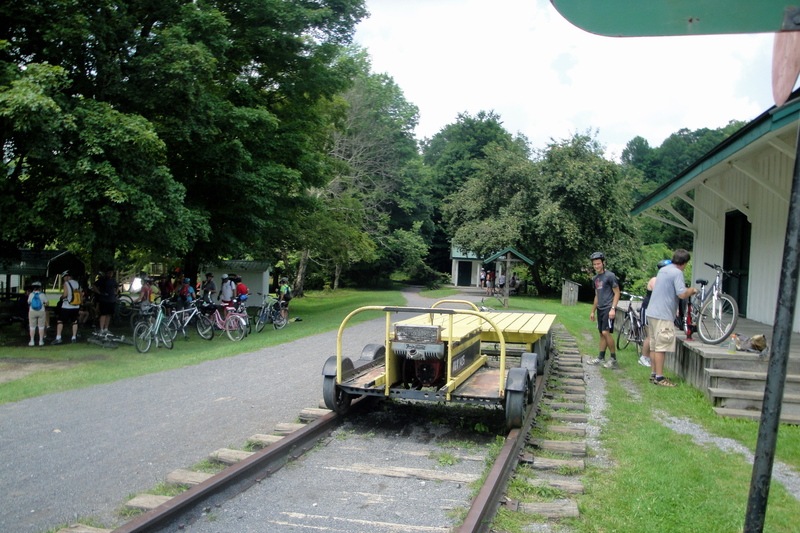 After the railroad closed in the 1970s some nature-y folks ripped up the tracks and created a bike and horse trail that went through the gorgeous woods and mountains of Southwest Virginia. 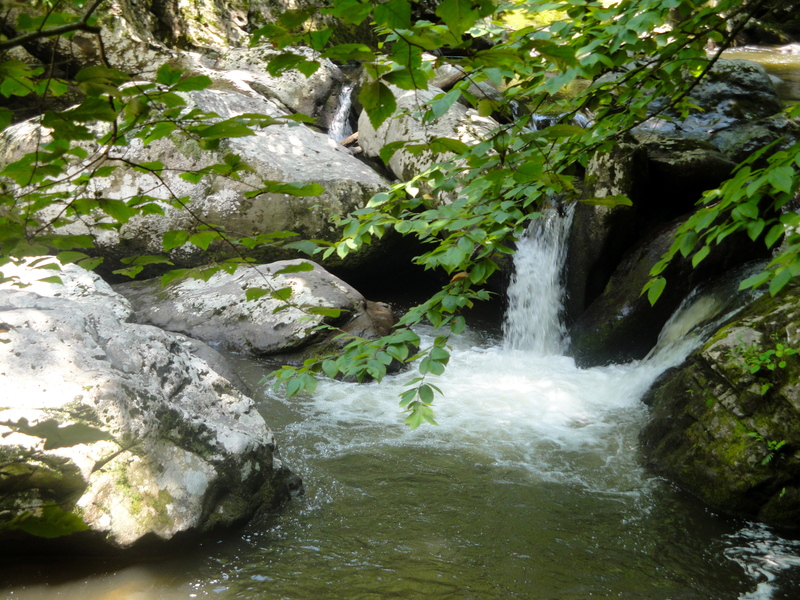 The trail also goes through some national forest, some private property (backyards, really) and it intersects with the Appalachian Trail several times. Me, excited to be on a bike. Since the trail used to be a railroad there are a few stops along the way, some of which feature converted railway stations–most of the stops have bathrooms and places to get food and water. 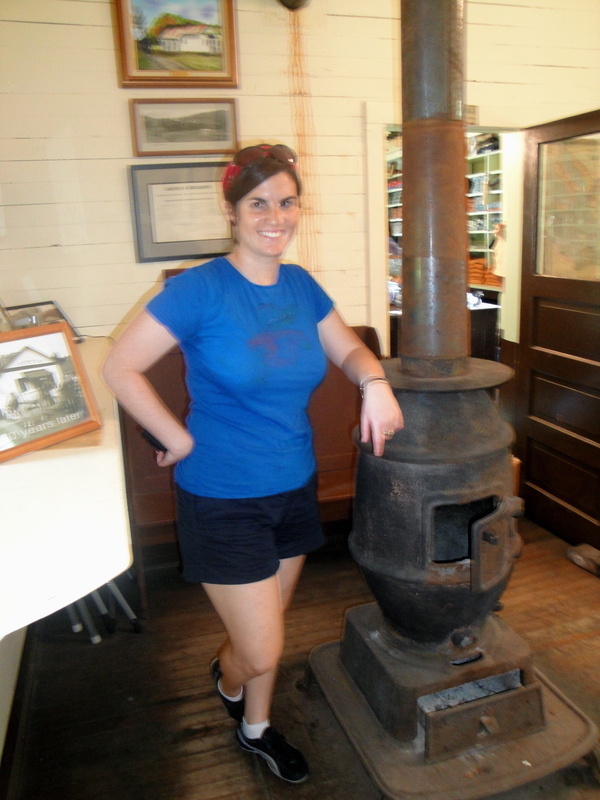 Our first stop was the Green Cove station, which is now a museum and snack/gift shop. It is only a few miles down from Whitetop. I was relieved to stop because I hadn’t been on a bike in ten years, and the first leg of the trail has the steepest decline and the most “serious” bike-riders shouting “ON YOUR LEFT” and whizzing right by you. I was a little terrified at first, but luckily you never forget how to ride a bike. I soon got the hang of it! 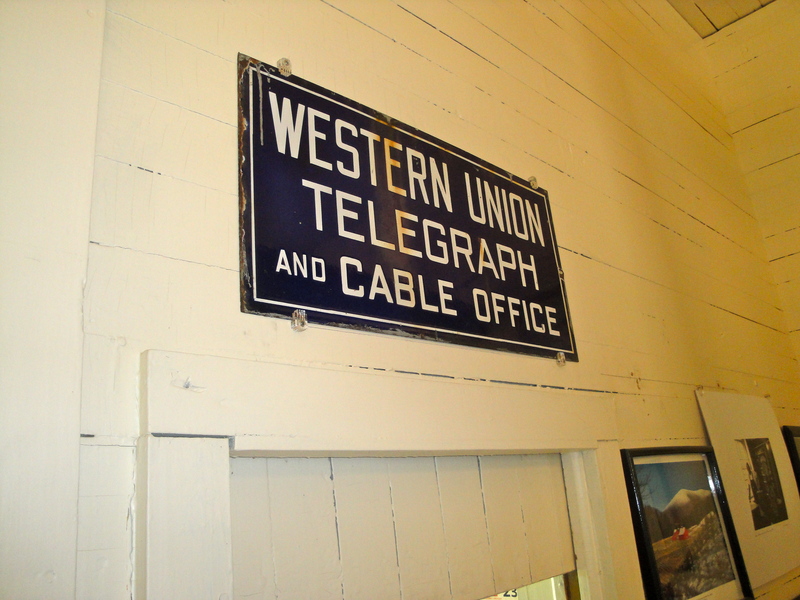 Green Cove was an old telegraph station! The outside of Green Cove, with the old tracks. We continued on from Green Cove and soon found that we were passing (or being passed by) fewer “serious” bikers on the trail. Sometimes a biker would whizz by us and sometimes we’d see a poor soul huffing and puffing up the trail toward Whitetop (ungh) but mostly we had the trail to ourself. And it was beautiful! 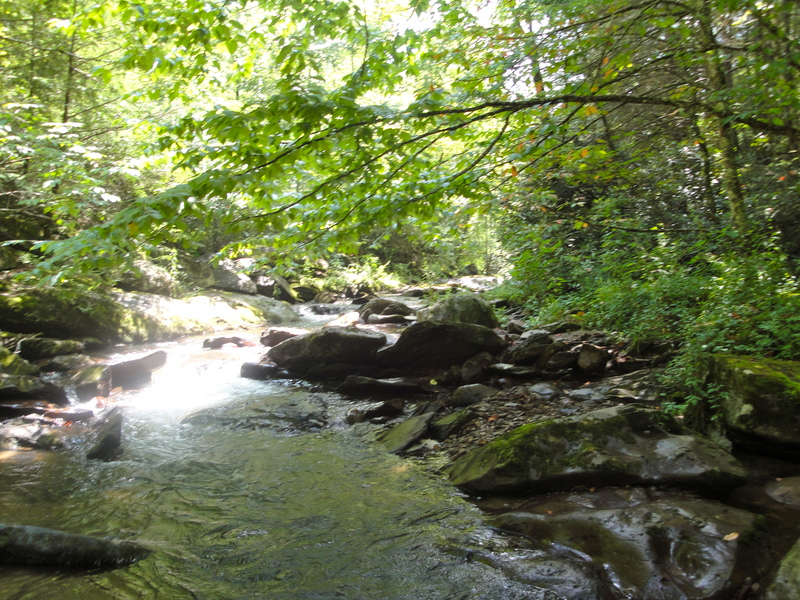 The trail is primarily cool and green forest and much of it follows a cold mountain stream. 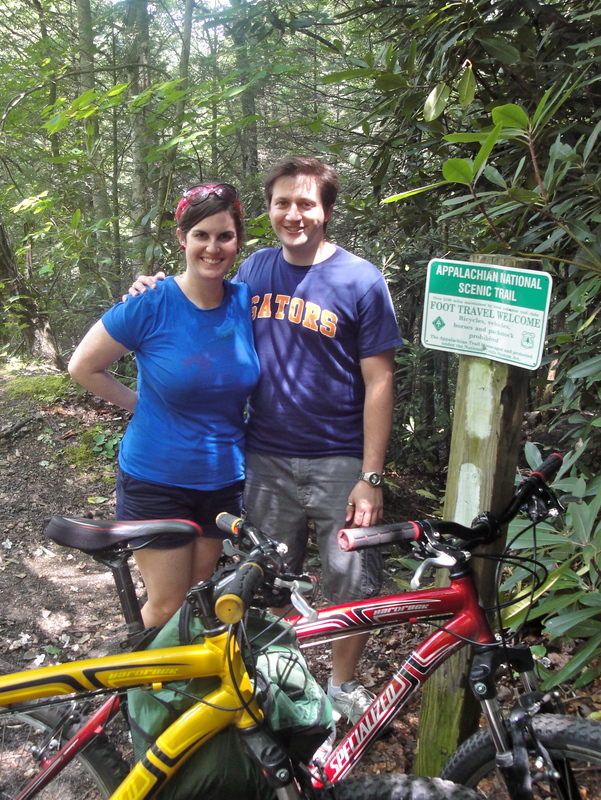 Since much of the leg of the trail we were on was downhill it was really a leisurely ride. 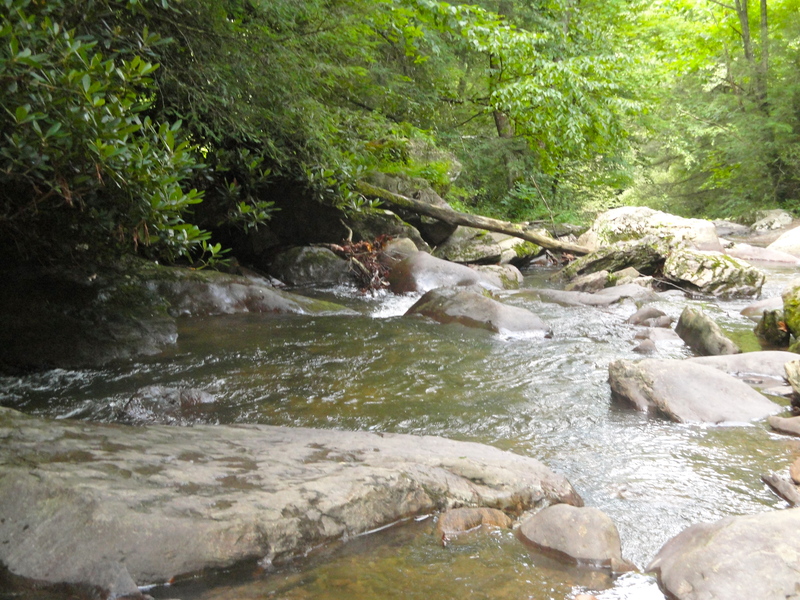 The top of the mountain was cool and the stream brought the temperature down even further. We stopped fairly frequently for pictures so it was all extremely relaxing! At one point we crossed the Appalachian Trail and stopped for pictures and also to walk along it, so I can now say I’ve been on the Appalachian Trail. The trail also crosses many bridges and through various backyards of farms–all very picturesque. 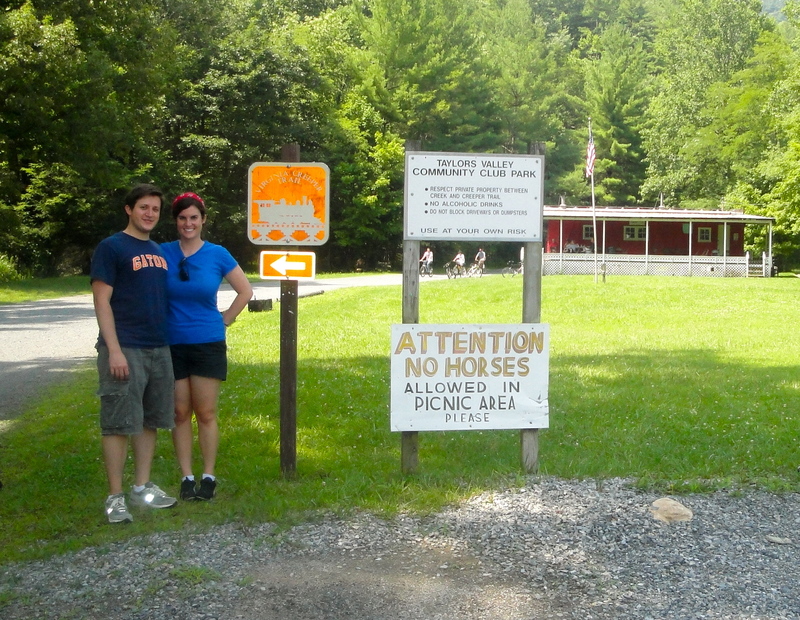 About two-thirds of the way down the trail you arrive in Taylor’s Valley, home of the Creeper Trail Cafe. 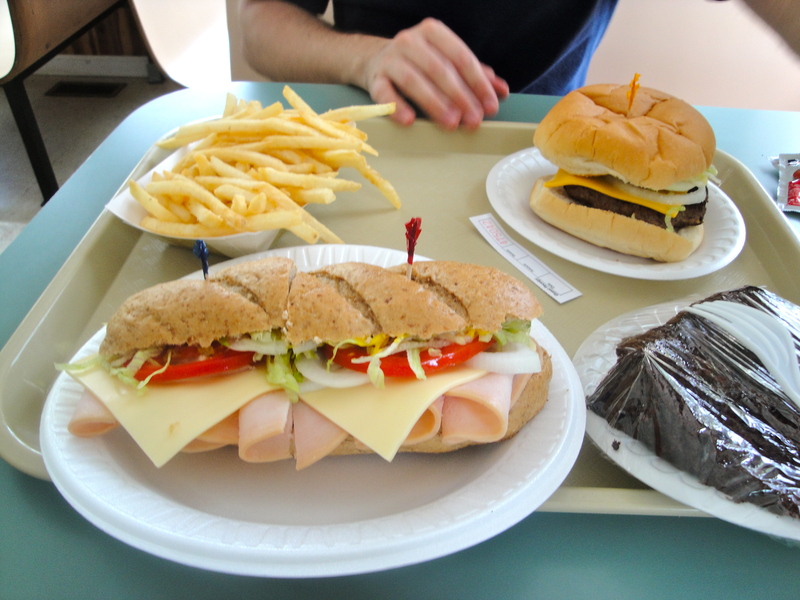 They are famous for their chocolate cake, which was featured in Southern Living, so we stopped in for lunch and cake. Their power had just gone out, but we were able to get sandwiches and some cake anyways. 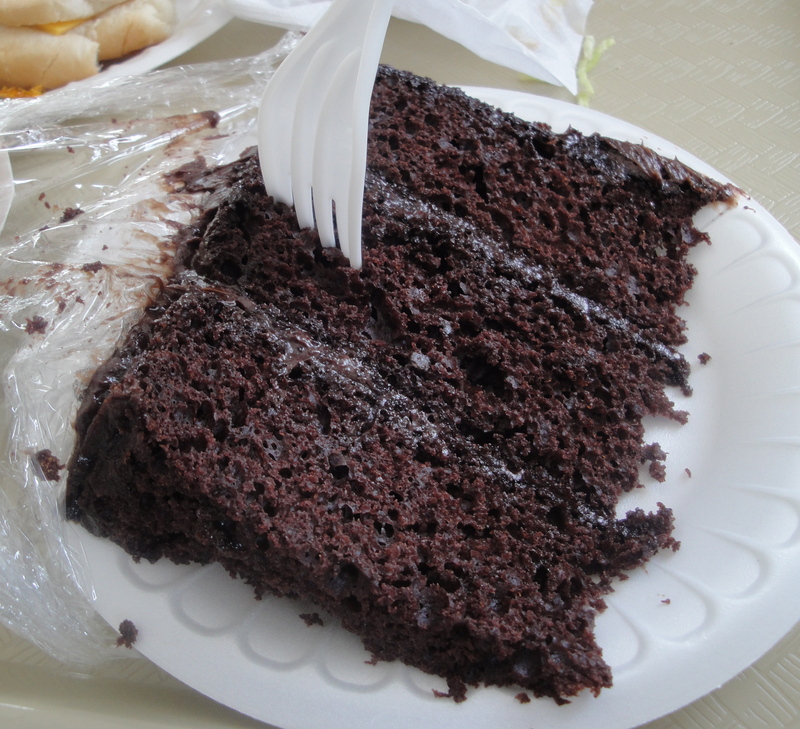 The cake was really good–especially the icing! Fudge-y without being heavy! We took a few more pictures and then continued along the trail. A nice, older, "serious" biker from Asheville took this picture for us. I'd passed him earlier on the trailer and he'd made fun of Jon for riding with "no hands." He said he couldn't wait to see Jon wipe out. Luckily Jon did not wipe out, but it was funny to run into the gentleman further down the trail! The trail looked like this most of the time. Horses also ride the trail. We didn’t see any but we did see their leavings. We also passed a pair of bikers who had ridden through the horse remains, one of them splashing the other. Disaster. After about three hours we returned to Damascus. 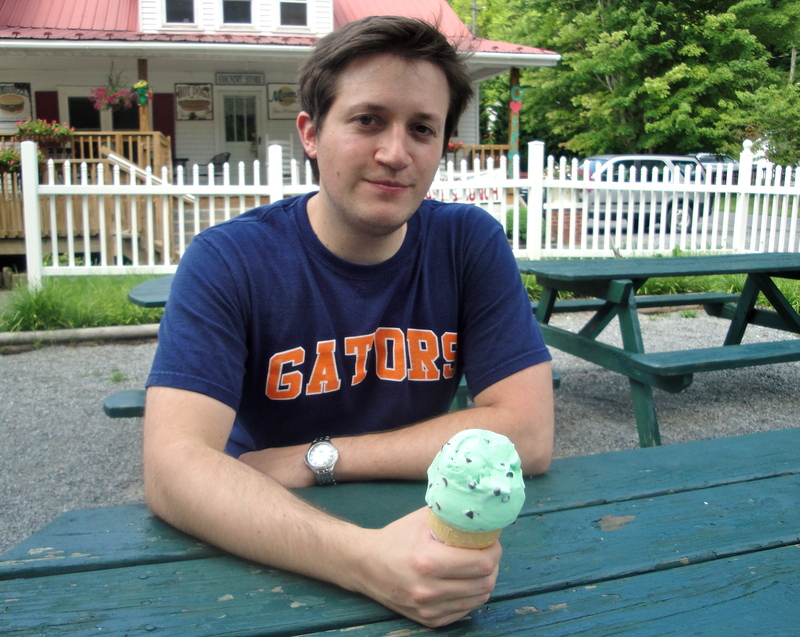 Luckily there is an ice cream shop right off the trail, so we stopped to rest and to reward ourselves for a 17 mile bike ride before we returned our bikes to The Bike Station and headed back to Butler. 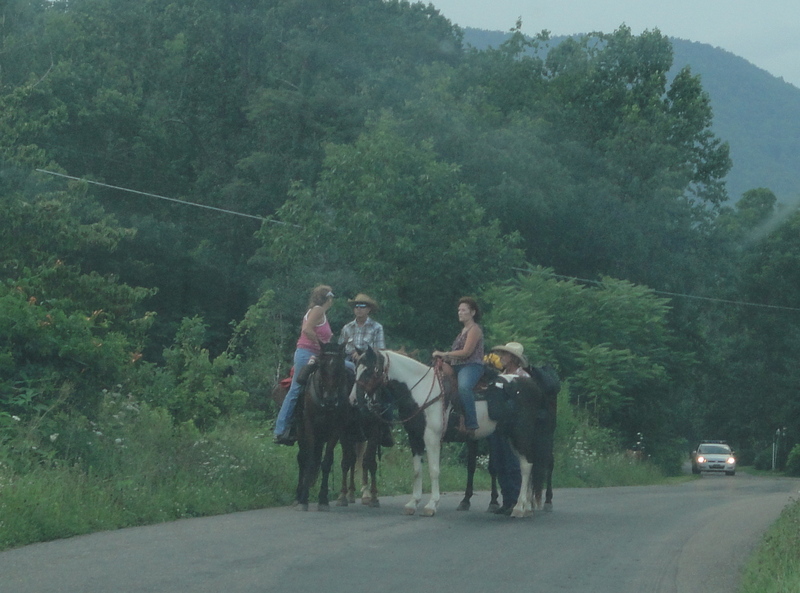 On our way back to the Inn we passed a number of Vikki’s neighbors on horses or in wagons. Evidently one of the nearby farms was having a covered wagon round up and a pig-pickin’! That’s a rambunctious Saturday night. 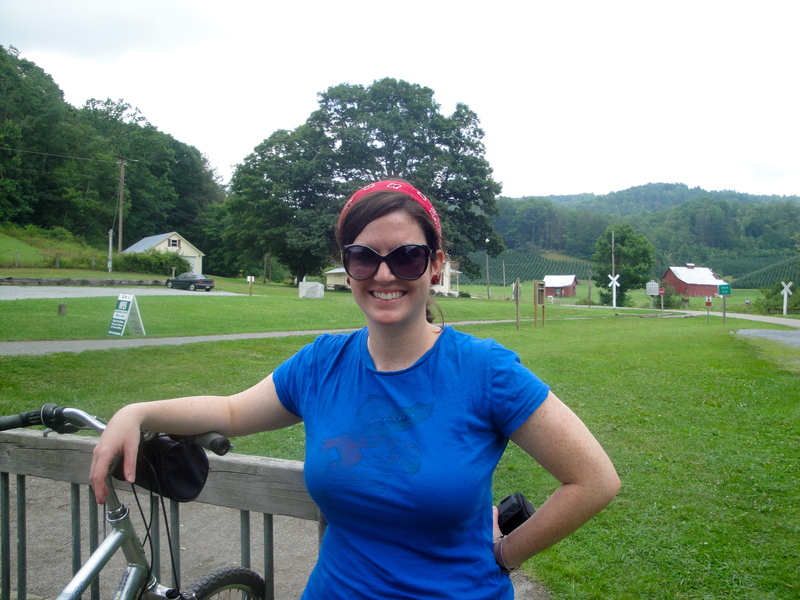 The bike ride along the Virginia Creeper Trail was a great way to wrap up our mountain weekend! 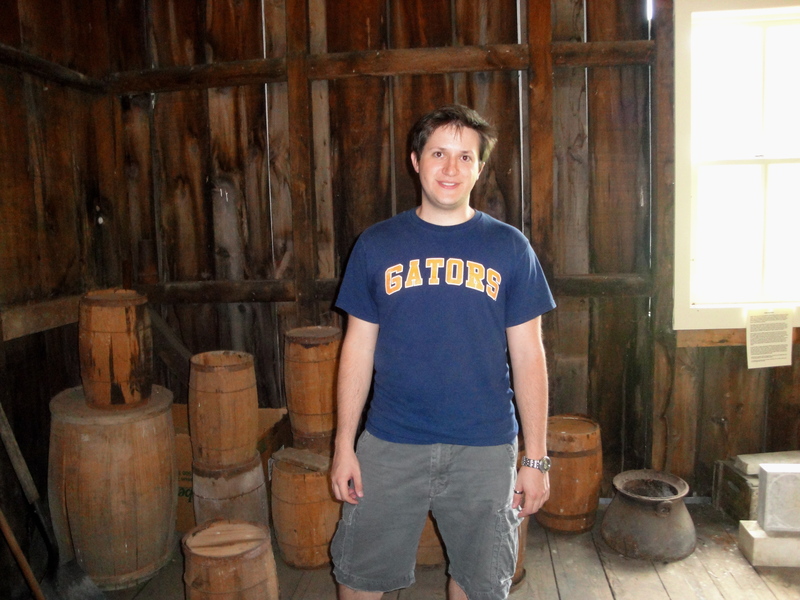 We had a really great time in the Butler area and would absolutely recommend it to anyone looking for a quick getaway with a variety of fun, but relaxing, things to do! 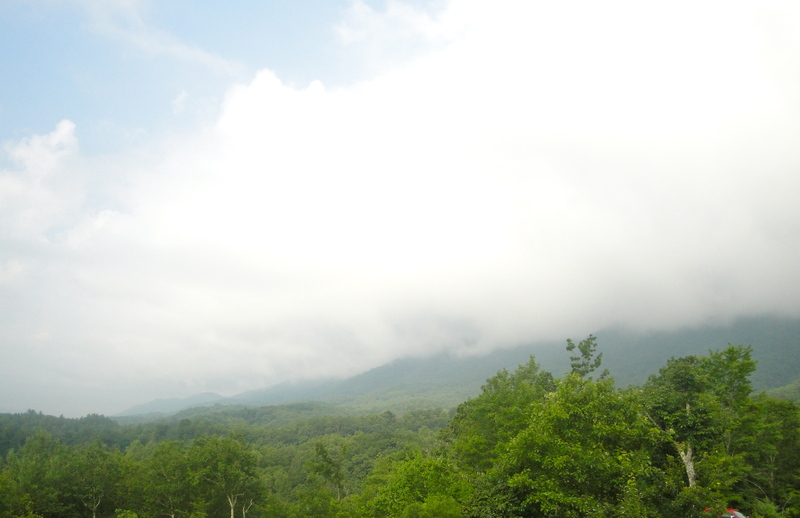 One last view from the Iron Mountain Inn for good measure.